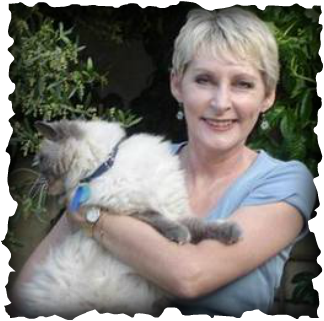 Shauna S. Roberts, Ph.D., editor, novelist, and short-story writer. 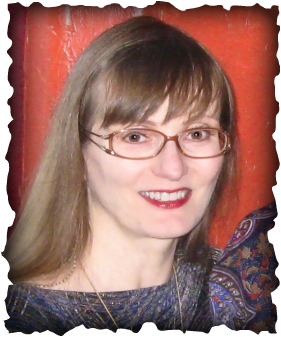 She writes primarily fantasy, science fiction, and historical fiction. For her novel Like Mayflies in a Stream (Hadley Rille Books, 2009), set in ancient Mesopotamia, she researched the region's foods, the irrigation canals that made agriculture possible in that arid region, and the fascinating temple-centered food-distribution system. Hadley Rille Books will publish her fantasy novel Ice Magic, Fire Magic in fall of 2013. Professional memberships: Member of the National Association of Science Writers, the Science Fiction and Fantasy Writers of America, the Romance Writers of America, the Historical Novel Society, and Broad Universe. Foodie credentials: Shauna has been a culinary herb enthusiast since 1987, and one of the first things she does after moving is to put in an herb garden. She was a cookbook reviewer for the New Pioneer Newsletter (Iowa City, Iowa) in the early 1980s. During her 20 years as a biomedical writer and editor, Shauna's specialties were diabetes, healthy eating, and weight loss. She was co-author (with Barbara Hansen) of The Commonsense Guide to Weight Loss for People with Diabetes (American Diabetes Association, 1998). Cooking philosophy: I cook with high-quality, fresh ingredients whenever possible and aim for meals as tasty as they are nutritious. Jenny Blackford's long-unfinished Ph.D was tentatively titled "The Tripartite Godhead in Indo-European Religion." She writes novels, stories, and poems of all sorts of genres (historical, fantasy, science fiction, spooky, even mainstream) for children, young adults, and grown-ups. There's almost always food of one sort or another, and often cats. Professional memberships: Member of the Science Fiction Poetry Association, the NSW Writer's Centre, the Australian Society of Authors, the Hunter Writer's Centre, the Australian Horror Writers' Association, and the Society of Children's Book Writers and Illustrators. Foodie credentials: People have been known to accuse me of being obsessed with food. I love to cook. I love to grow my own food. I love to experiment with old production methods—brining my own olives, or candying my own angelica. Cooking philosophy: Food should always be both delicious and nourishing. Even on the less-nourishing end of the spectrum, "a little of what you fancy does you good," as my grandfather used to say. There's no excuse for excellent foods like lentils or cabbage to be cooked in a way that makes them less than a pleasure to eat, common though that is. 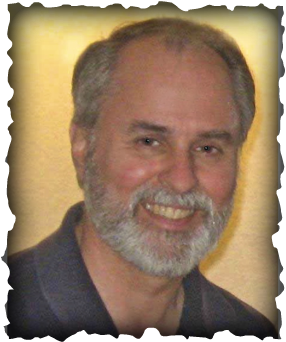 Eric T. Reynolds, editor and publisher, Hadley Rille Books. Eric has edited over twenty highly acclaimed anthologies, collections, and novels and has had short fiction published in several small press publications. He has also had several nonfiction articles published about space exploration history and the history of technology. Professional memberships: Member of the Science Fiction and Fantasy Writers of America and Broad Universe.